Play Street Ball Star and more Arcade Games on Games1.com! 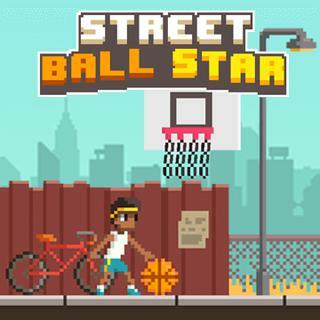 Become a living street basketball legend! In this retro sports game your aim is to score as many points as possible in two challenging game modes. Focus the basket, pay attention to the wind and collect coins with every perfect hoop. Earn gifts and assemble all items to unlock cool new locations. Will you be the next Street Ball Star?